Posted in: Exotek, Radio Control, Team Losi Racing. Tagged: New Releases, RC. 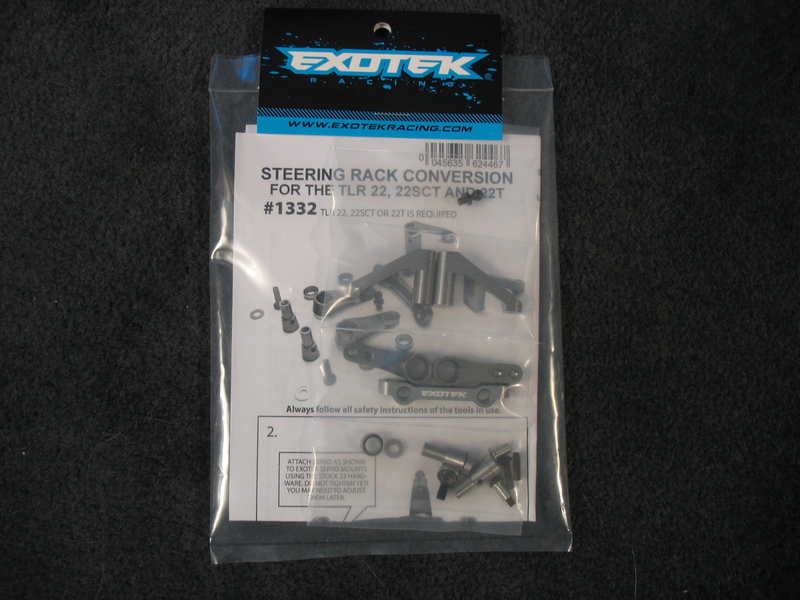 I am going to share my initial impressions of the Exotek Steering Rack Conversion Kit for TLR22, 22SCT and 22T. – To be honest I found the price for this product to be a little steep at $69.95 us, but I have started to get some binding in the steering rack of my TLR 22SCT, so I thought I would take a gamble and see if this fixes the problem once and for all. 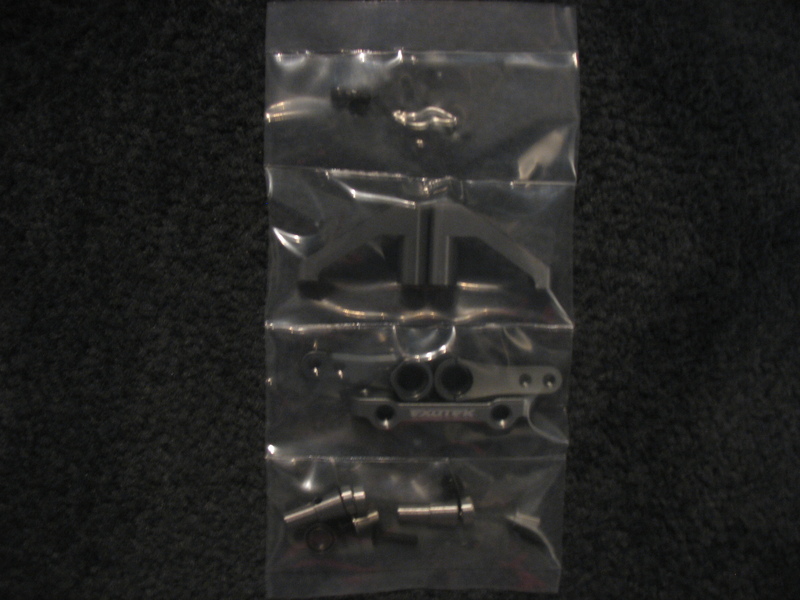 – Exotek processed and shipped my order within 1 business day. The kit was shipped from Oceanside California, US on July 1st, it arrived in Sackville Nova Scotia, CA on July 12th, this is pretty good time when you consider it had to get customs clearance and utilize Canada Post for the Canadian leg of the journey. 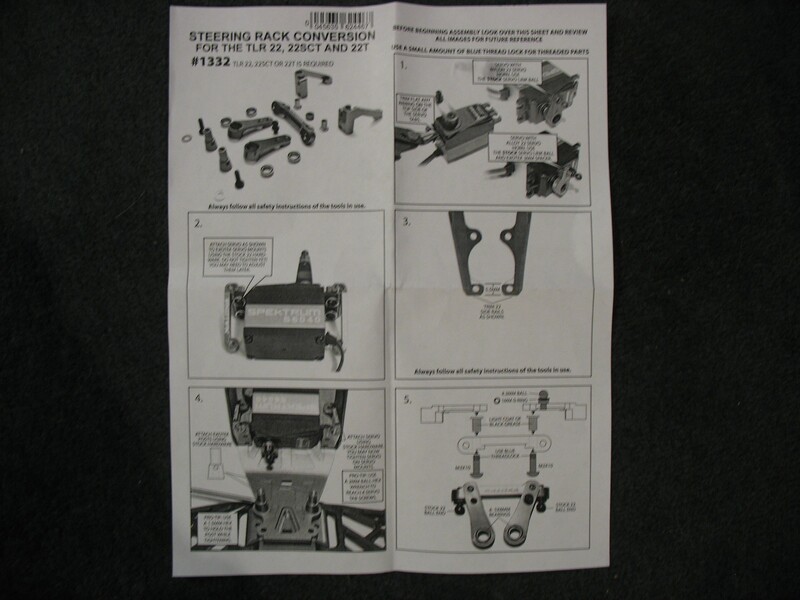 – Inside there is an instruction sheet which appears to be very clearly laid out and easy to follow. The instructions include 9 different steps. I will tell you that in step 8 you will be required to grind your upper bulkhead in two separate places to allow clearance for the steering link ball cup and the servo horn. – The parts are CNC machined Aluminum and the package is separated into 4 compartments, this will allow for easy identification of parts during the build. Stay tuned I will be putting this together soon and I will keep up updated on the process. Can’t wait to see and read how the upgrade performs!